At Grin Eye Care, we have been performing LASIK for more than 20 years and have always stayed on the cutting edge of the latest technology. Our LASIK surgeons, Dr. Milton Grin and Dr. Jeff Wongs, combine their skill and experience with a genuine enthusiasm for getting to know their patients and personalizing each experience to deliver an optimal outcome tailored to each individual’s needs. 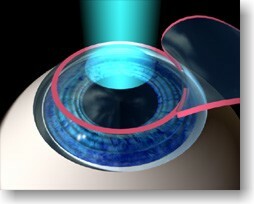 Have you considered LASIK, but were unsure if you are a good candidate?